I'm cautiously optimistic about Fantastic Beasts: The Crimes of Grindelwald. 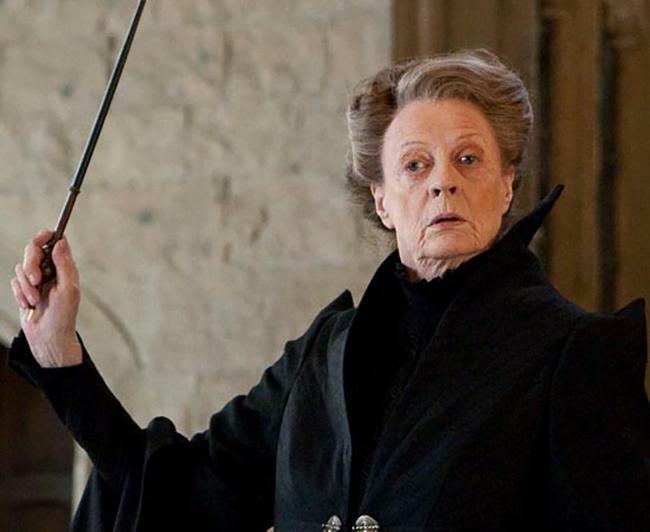 The cast list for the second film, The Crimes of Grindelwald, was recently released and it included someone rather unexpected: Professor McGonagall. While I still think the series needs to ditch Johnny Depp, I'm curious about this prequel universe J.K. Rowling is concocting. But before we get ahead of ourselves, we have to see what The Crimes of Grindelwald is going to do. To enter for a chance to see the movie early and for free, send an e-mail to Collider.Passes@gmail.com with the subject line "FANTASTIC BEASTS 2". The second new adventure in JK Rowling's Wizarding World, Fantastic Beasts: The Crimes Of Grindelwald, picks up where the first film left off, with young Albus Dumbledore (Jude Law) enlisting his former student and magizoologist Newt Scamander (Eddie Redmayne) to help thwart the plans of the evil and unsafe Gellert Grindelwald (Johnny Depp). Eddie is gearing up to reprise his role as Newt Scamander, a Magizoologist who is enlisted by Albus Dumbledore (Jude Law) to help him capture the villainous Gellert Grindelwald (Johnny Depp). The sequel starts from escape attempt by Grindelwald who now wants to gather new followers for his true agenda: to destroy the peace that exists between beings of Wizard World and non-magical beings.